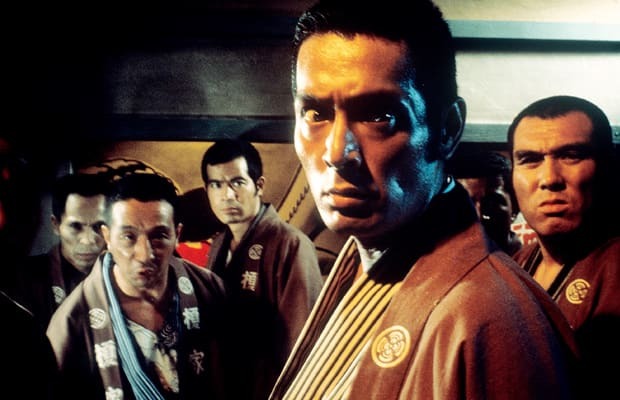 The Wolves features an all-star cast, including Tatsuya Nakadai (Harakiri, Ran), Noboru Ando (a real-life yakuza turned actor specializing in yakuza roles), and Kyoko Enami. In 1929, as a celebration of Showa Emperor Hirohito’s ascension to the throne, hundreds of yakuza were pardoned and released from jail. Nakadai plays Seiji Iwahashi, a tired yakuza that aimlessly wanders back to what he sees as a dismantled remains of a once honorable underworld. Plot twists and betrayals of former brothers aside, the distressed environment captured in early 20th century Japan full of greedy men against those attempting to hold on to last tips of the past is conveyed with effective realism.